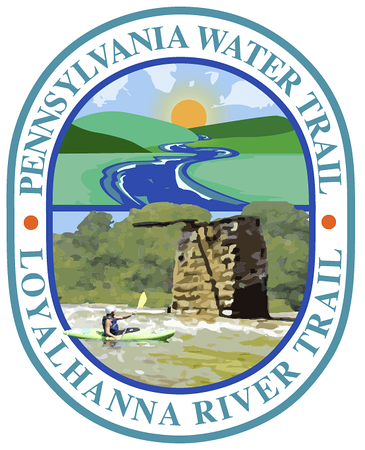 Recently I was contacted by the Pennsylvania Environmental Council to create a unique logo for a trail map for the Loyalhanna Creek. I must say that I have not paddled the Loyalhanna but there are a lot of rivers that I have not paddled, but I think this may be flat water so that is why it has eluded me. 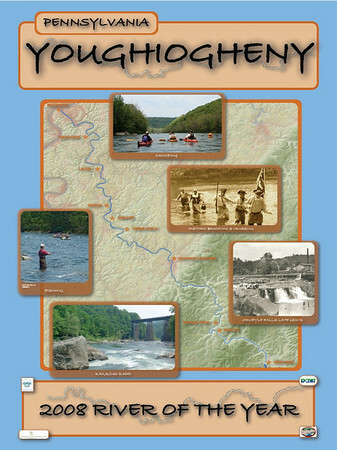 I would like to paddle this stretch now that I have done the logo for it though. The council sent me some pictures of an old pier on the Loyalhanna and it seemed that it was a landmark for the paddlers. So I created the logo around it. My contacts also said they wanted it to look like a cartoon so I worked some drafts up sent them back and forth and this is what I came up with and what was accepted by the committee. 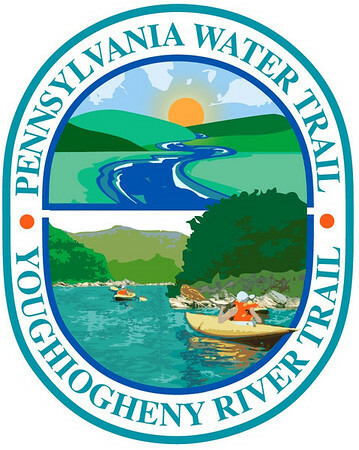 In 2008 I was commissioned by the same people to create another logo for the Youghiogheny River. This river was getting trail map status as well but was receiving an award for River of the Year. This was exciting because this was a river near my home that kayak on a daily basis. I was really happy to be the artist for this event and for this river. The council approached me to create a poster, T-shirt, and a logo.